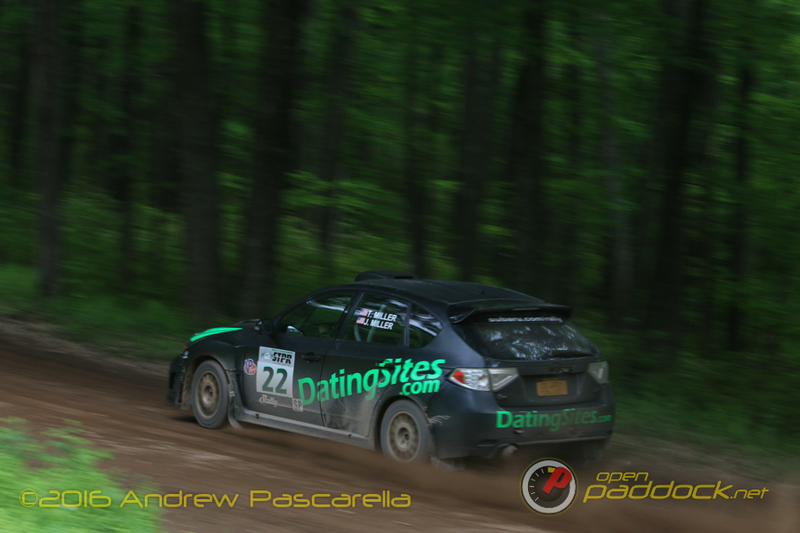 We were hoping the 2016 Waste Management Susquehannock Trail Performance Rally would provide a continuation of the close battles at the front we saw from the previous rounds that included Subaru Rally Team USA Teammates David Higgins and Travis Pastrana. 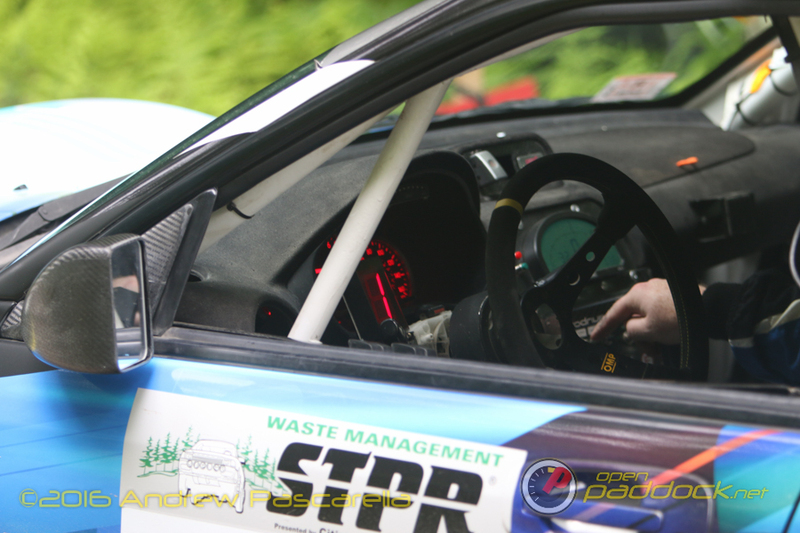 Coming into the event, Travis had won 100 Acre Wood while David won the Oregon Trail Rally. They had one victory each with the two trading stage wins and gaps so close that each event was only decided on the final stages. Unfortunately before STPR began the gap between Travis and David was larger than either of them had been able to gain during their previous encounters. 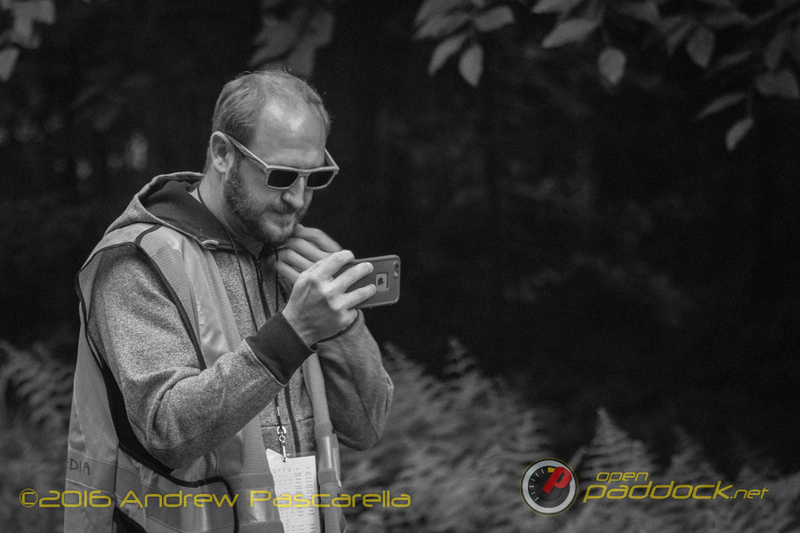 “Don’t speed during recce or you will be penalized!” was the word from the organizers, and they made good on that promise. The recce speed on the forest roads was a hard and fast 25MPH, but as any of us who have driven in a hilly residential area know, maintaining at or below 25 is not as easy as it may seem with downhill areas easily causing a car to coast much faster. Then add on to this the complexity of trying to make your own pace notes while trying to maintain this extremely slow speed. Higgins ended up with a massive 2:15 in penalties with teammate Pastrana not fairing much better at 1:45. The SRTUSA guys weren’t the only offenders as many suffered the same problem. Super Production drivers Gary Gill had 30 seconds in penalties and Patrick Brennan 45 seconds. 2wd’s Ryan Millen started 45 seconds behind his rival Cameron Steely who was one of the few that came out of recce penalty free. We completely agree with having tough speed limits on recce and having penalties when exceeding them, but it sounds like the monitors of the speed limits were being a bit dodgy by recording speeds on downhill sections or other areas where it is easy to go over by a small margin. I’m hopeful that in the future this event doesn’t have such issues as it takes away from the competition before the racing starts. 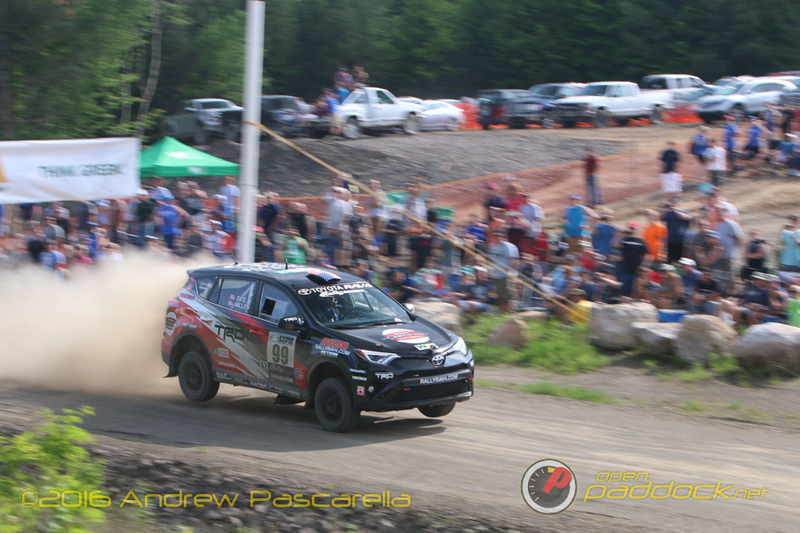 Regardless of the penalties we knew Pastrana and Higgins would push from the start, and push they did. 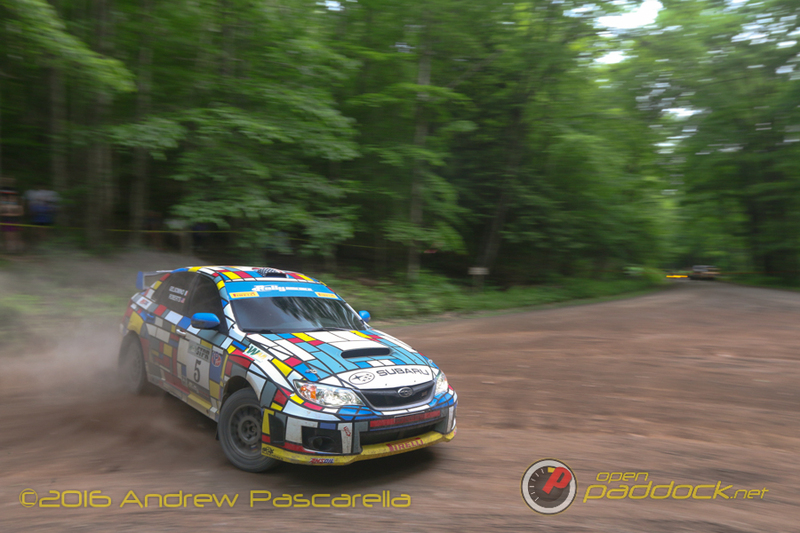 Pastrana was first on the road and won the first run of the well known rough and tricky Waste Management stage over David Higgins by a mere 0.5 seconds, so on the onset it seemed fans would be in for another battle royal. 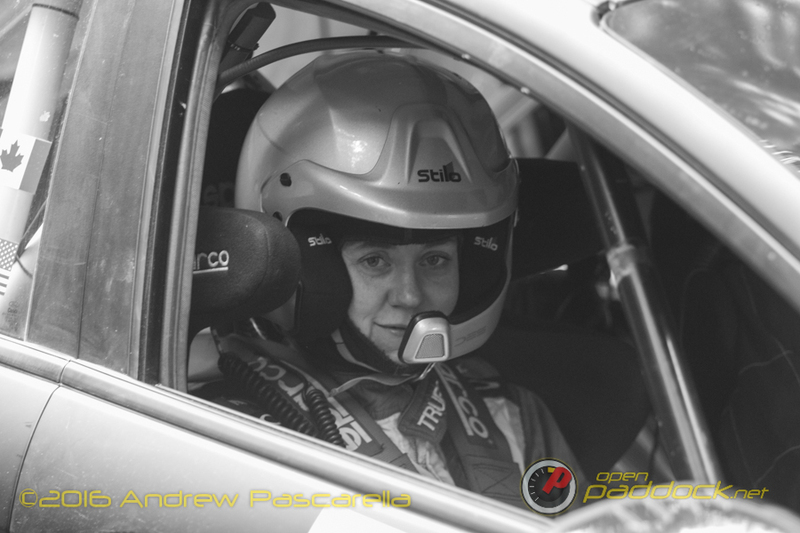 Roughly half the field had made it past the jump portion of the stage when word came over the radio that car 80, the V8 Rally Ranger of Gary DeMasi and Stephen Kurey rolled near the end of stage 1. A marshall unfortunately showed a red cross even though the crew were okay causing the stage to be stopped. The remaining competitors transited the the stage. 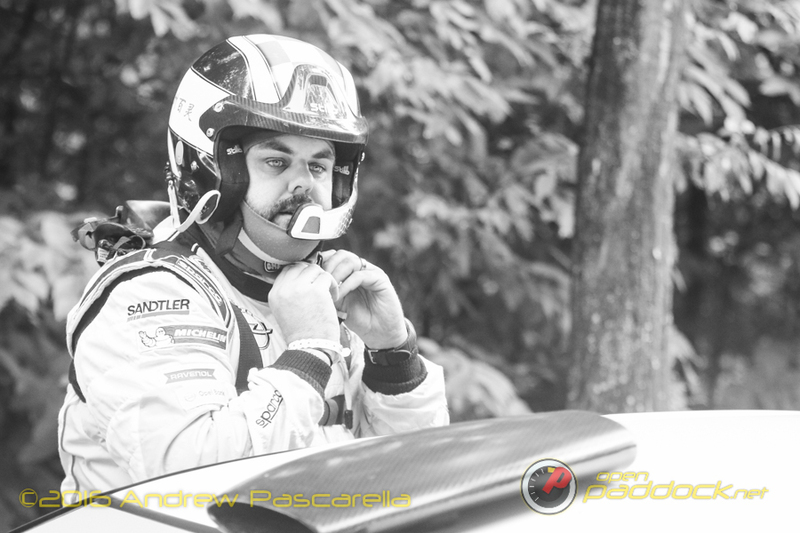 SS 2 is the same Waste Management stage, but run in reverse. 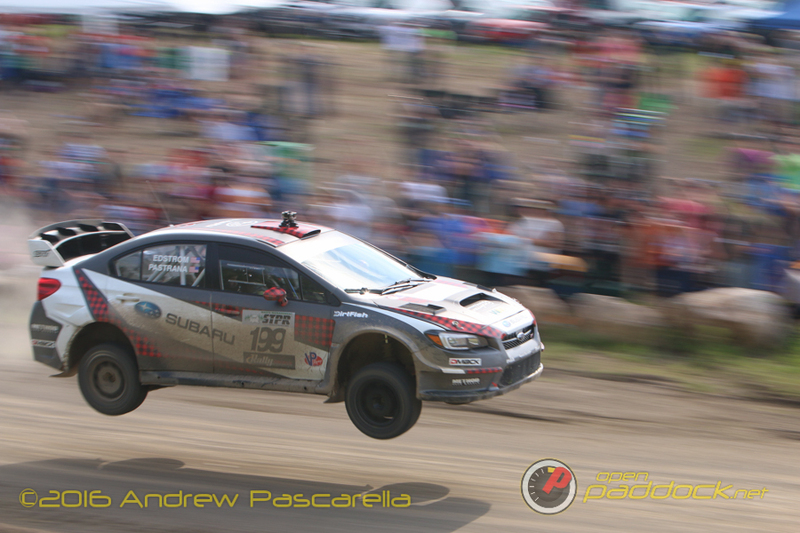 Pastrana again showed huge speed over the jump and was really looking confident. 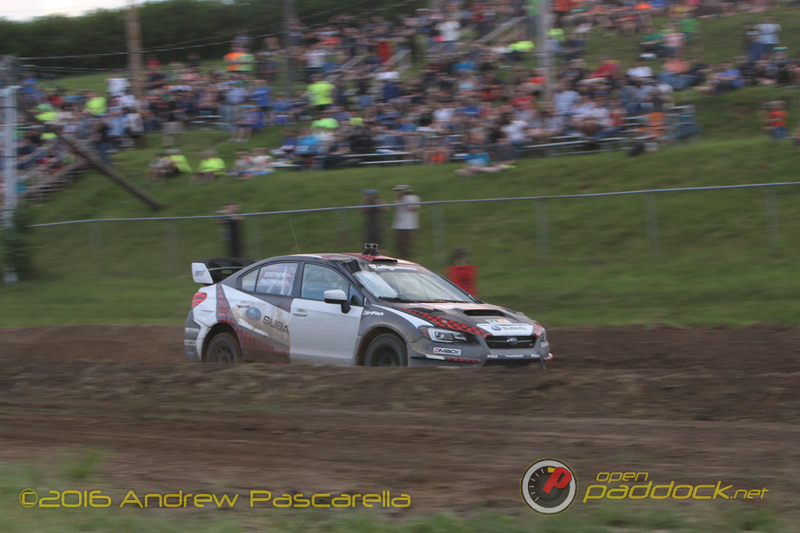 However with Pastrana’s typical win it or bin it mentality, he put the car off near the end of stage 2. 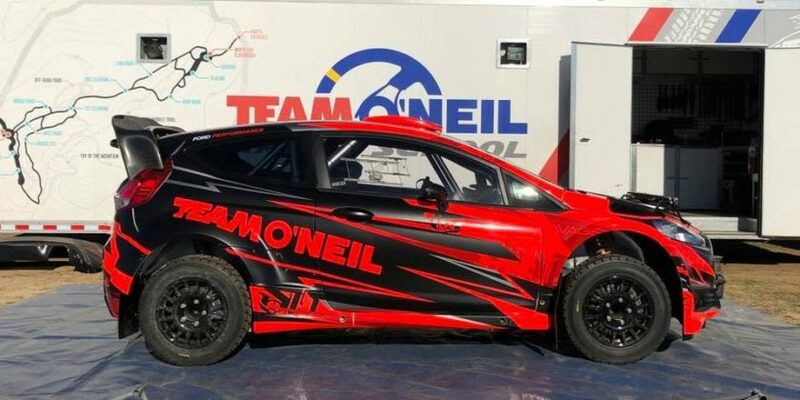 As is typical it was co-driver Christian Edstrom’s side of the car that was damaged with the passenger side front door taking the heaviest impact. This gave the 199 car a DNF on stage 2 and effectively killed any chance of winning the rally overall. So the battle we had all hoped for was officially over. As fans we felt a bit jilted after the stunning performances at 100 Acre Wood and Oregon Trail, but maybe we were expecting too much? To be honest, Travis Pastrana doesn’t have nearly the seat time as his mentor and teammate David Higgins. How could we honestly believe Pastrana could remain at such a pace without any mistakes? Until Pastrana can commit to a full season maybe we fans should lower our expectations a bit? In a classic rally move though, SRT USA pulled the passenger front door from their stock WRX recce car to repair Pastrana’s #199 for the spectator friendly Super Special Stage that was run later that evening. Although he was already a DNF for the day, the goal for Pastrana was a little grudge match he had with his fellow Nitro Circus teammate Tommy Passemente A.K.A. “Street Bike Tommy”. Street Bike Tommy, who isn’t the smallest of individuals, squeezed into the Rally America 2012 B-Spec Honda Fit “Star Car” for his first ever stage rally event with the experienced Tracey Gardner at his side calling the notes. Tommy had bet Pastrana that he’d find a way to beat him, Travis of course didn’t let that happen on the super special, but to Tommy’s credit he didn’t DNF. With Pastrana and Edstrom making such a large mistake, this left the door open for Higgins and Drew. With the short mileage for Day 1, there weren’t enough competition miles for Higgins and Drew to overcome their recce penalty. This created the interesting situation of having the National Limited Open class car of of Seamus Burke and Martin Brady at the top spot after day one. 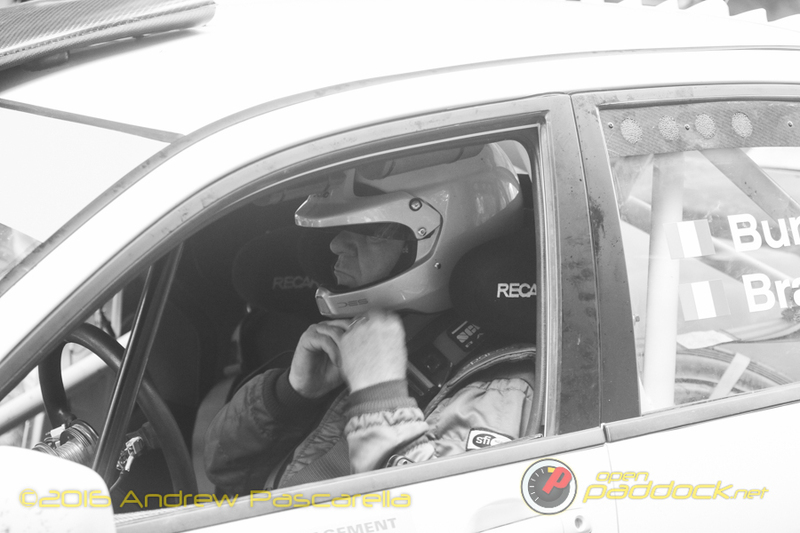 Despite being a 10 year old car with a 60 year old driver who had previously retired from rally at the wheel, the Burke/Brady EVO is a fast machine. However in the long run it simply won’t match the new tech and setup of the factory backed open class Subaru. 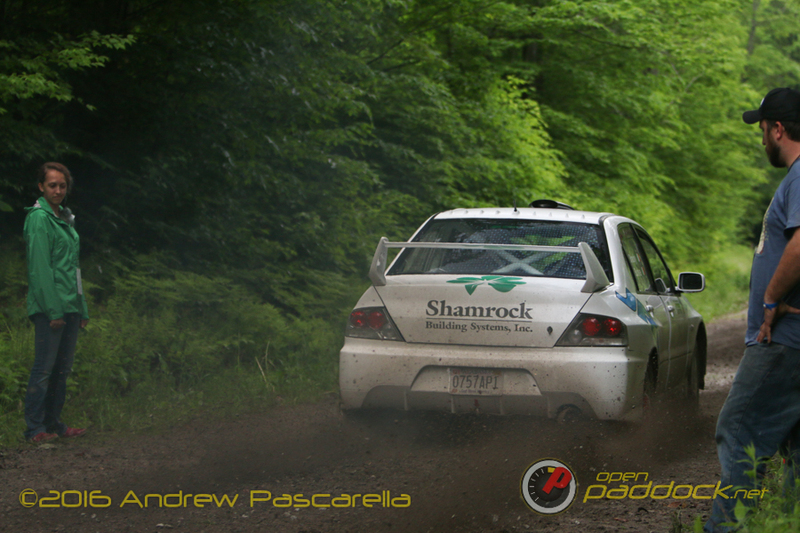 Stage 5 “Aspah” was the first stage on Saturday utilizing the state forest roads that surround Wellsboro. At the Picnic Area spectator point, 4 Forest roads converge over a bridge creating a natural amphitheater. The road dips and twists into a hard right where it transitions to a narrow concrete bridge lined with guardrails. Higgins and Drew came through first with a spectacular pendulum flick into the right hander to the delight of the crowd. Three mins later, Burke and Brady appeared. Taking a more conservative line, but still brisk pace. The EVO’s anti-lag popping and banging with unburnt race fuel. 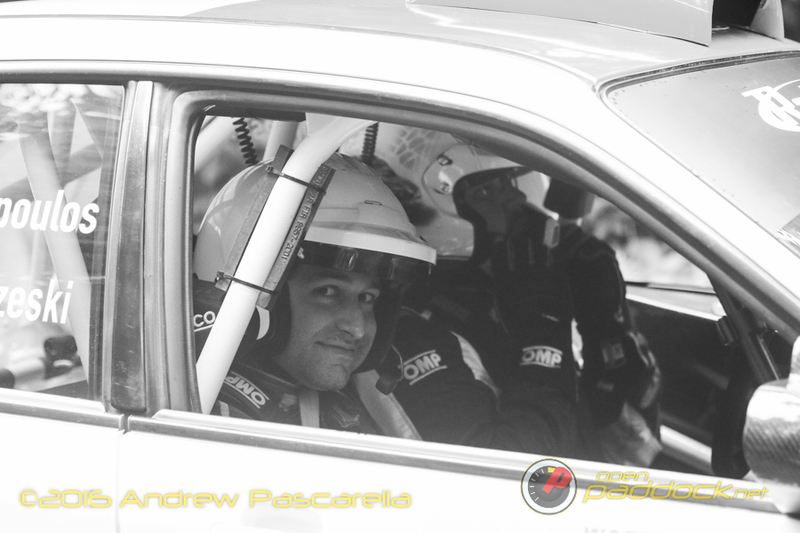 Next came Nick Roberts and Alex Gelsomino in the #5 Super Production Subaru. Roberts looked fast and confident keeping his line tight through the corner. No need to show boat for the crowds from him. Their closest SP rivals, Troy and Jeremy Miller came next carrying a much wider line than Roberts. 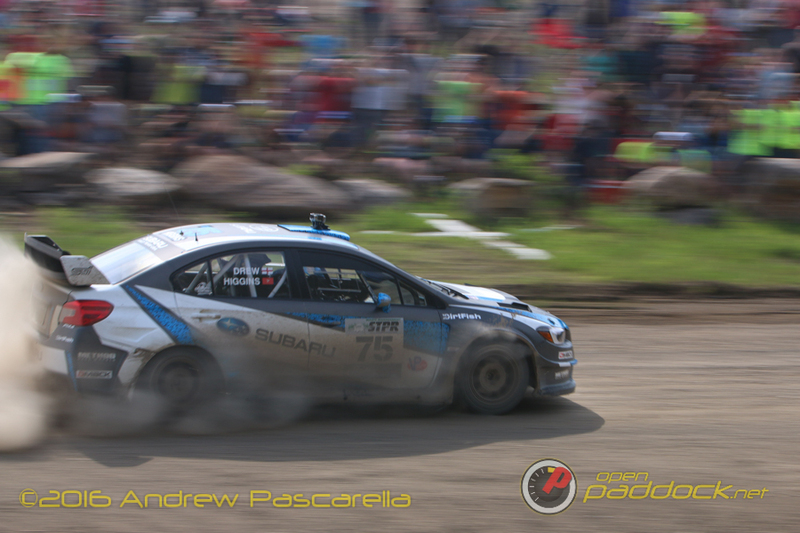 Unfortunately Pastrana and Edstrom never made it to the spectator area. They had another off and their rally was finished. A real bummer for the fans and disappointing for Pastrana who even with his super rally penalties would have benefited from more stage miles and perfecting notes for next season. Higgins and Drew were finally able to pull away from Burke and Brady. Even without Pastrana to push him, Higgins could run at 8/10s and still keep the less powerful EVO of Burke at bay. Higgins can really run away with a rally if given space. 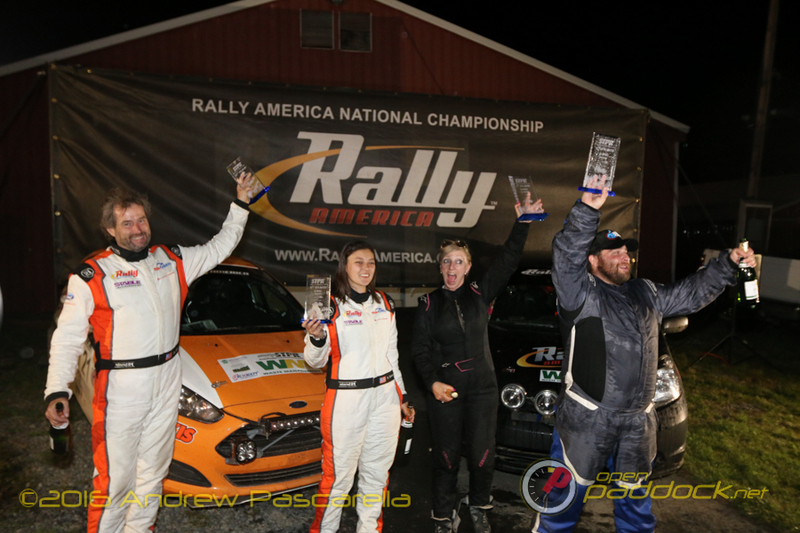 Now that there was no direct competition the current Rally America multi-champion just had to do what he does best, which is finish rallies without any major mistakes. The Super Production class was still up for grabs through much of Saturday with Troy and Jeremy Miller keeping Roberts and Gelsomino within striking distance until Stage 12. 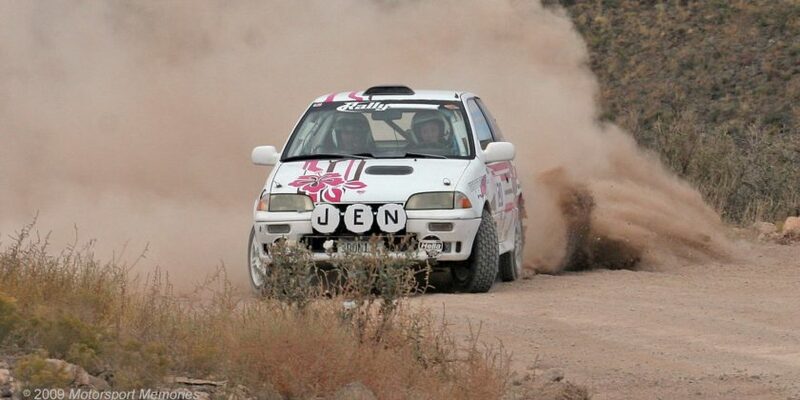 Roughly half way through the 12 mile stage Roberts had a catastrophic turbo failure. This handed the SP lead to the Miller bros. who carried it to the end. So the overall podium had of course David Higgins and Craig Drew, winning with a margin of over 9 minutes. Seamus Burke and Martin Brady sealed up 2nd overall and first in National Limited Open. Impressively third overall went to Troy and Jeremy Miller. 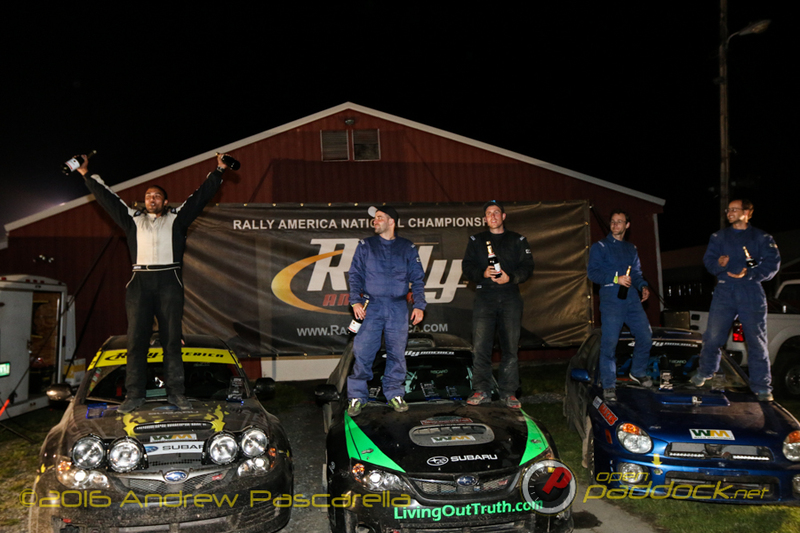 This was Miller’s first time on the overall podium, and it was extra sweet as STPR is the closest they have to a home rally. The SP podium had Miller at the top with second place going to to Gary Gill and Steven Harrell in Gill’s new to him Subaru STI rally car. Gill showed up fashionably late for the podium leaving Harrell with two bottles of champagne to spray. Nathan and Aaron Usher ended up with their first ever national SP podium coming in 3rd place. 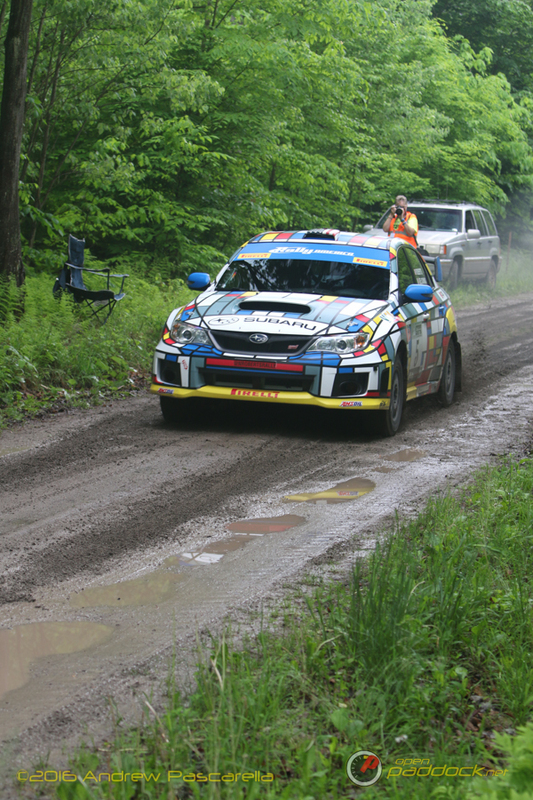 The Ushers drove a fast and clean rally in their 2002 WRX wagon and it really paid off. It was nice to see such a small privateer team make it to the podium. Had Robert’s car not broken they would have been bumped, but the Usher’s consistency allowed them to capitalize on Roberts’s turbo failure. 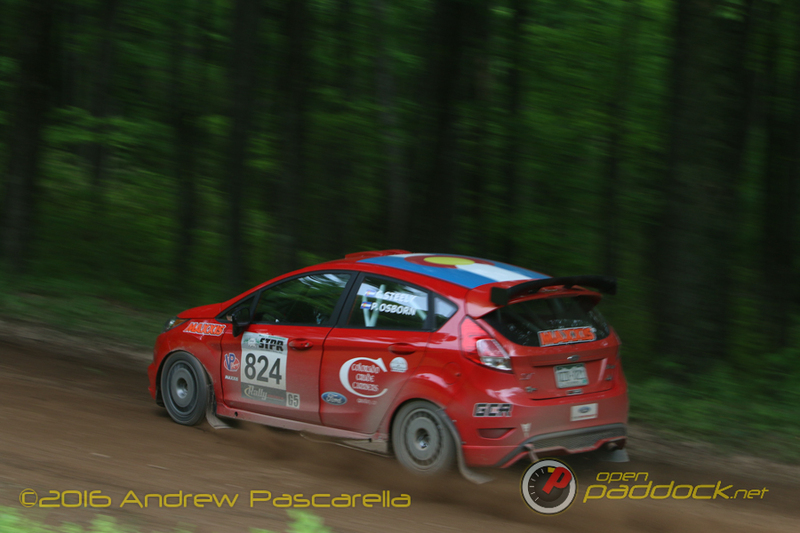 National 2wd was again a heated battle between Cameron Steely and Preston Osborn in their 2015 Fiesta ST against rivals Ryan Millen and Christina Fate in the 2016 Rally RAV4. 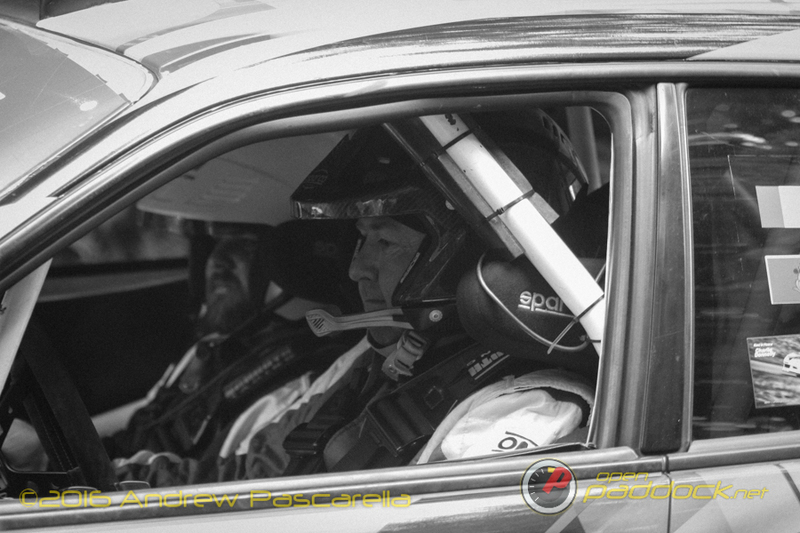 The previously stated 45 second recce penalty for Millen and Fate allowed Steely and Osborn some breathing room. 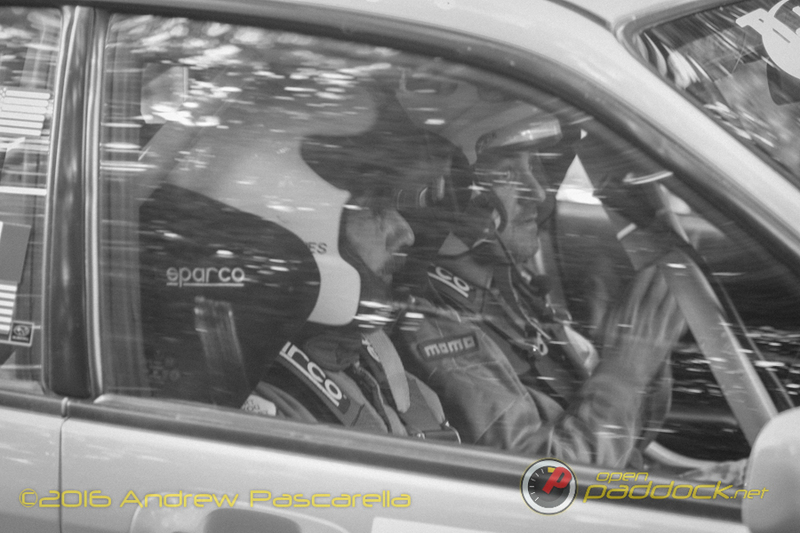 The two rivals traded stage wins throughout the rally even though Steely had such a large advantage from the start. That advantage would come in handy when Steely and Osborn suffered a puncture on the penultimate stage, but were still able to hang on for the win. 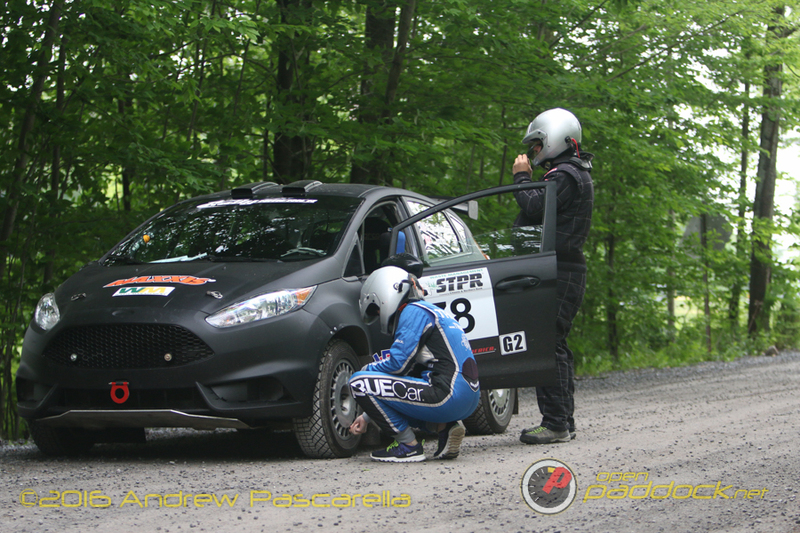 This was the first time Cameron Steely has ever finished STPR in his many previous attempts, so it was a very special win for the team. Ryan Millen and Christina Fate finished in 2nd, but pushed Steely all the way. 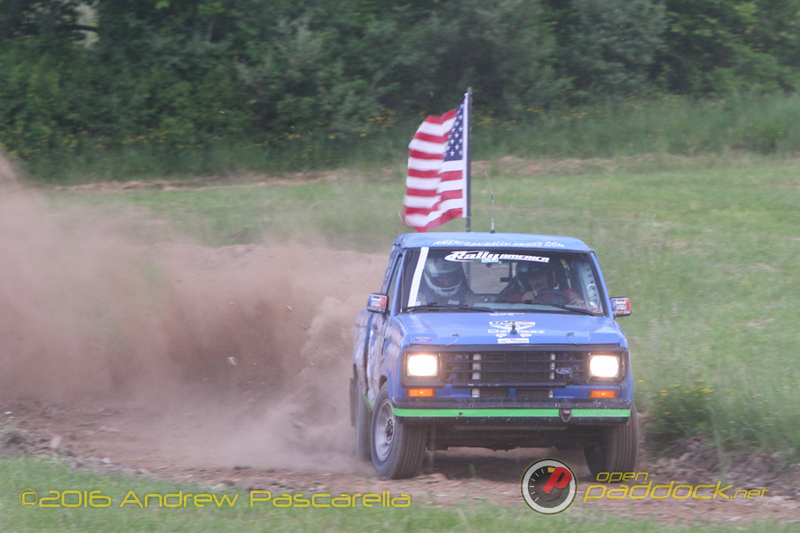 Dave Wallingford and Leanne Junnila rounded out the 2wd podium in 3rd . Nice to see Wallingford and Junnila finish after their scary roll into a water filled drainage ditch at Olympus. 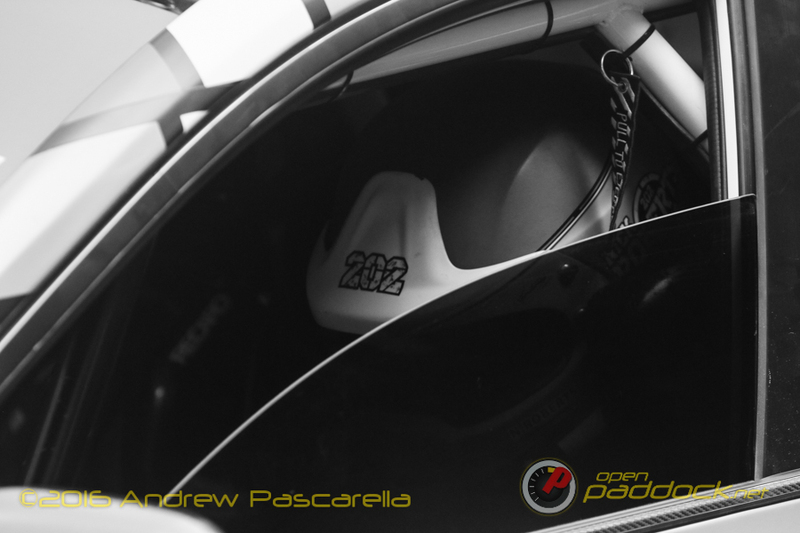 B spec was interesting and a surprise for most, including the competitors. The normally dominant Jordan Guitar and William Jang DNF’d the HPD 2015 Honda Fit on SS5. This left rookie “Street Bike” Tommy Passemante and Tracy Gardiner vs. Keanna Erickson-Chang and Ole Holter to duke it out on the stages. 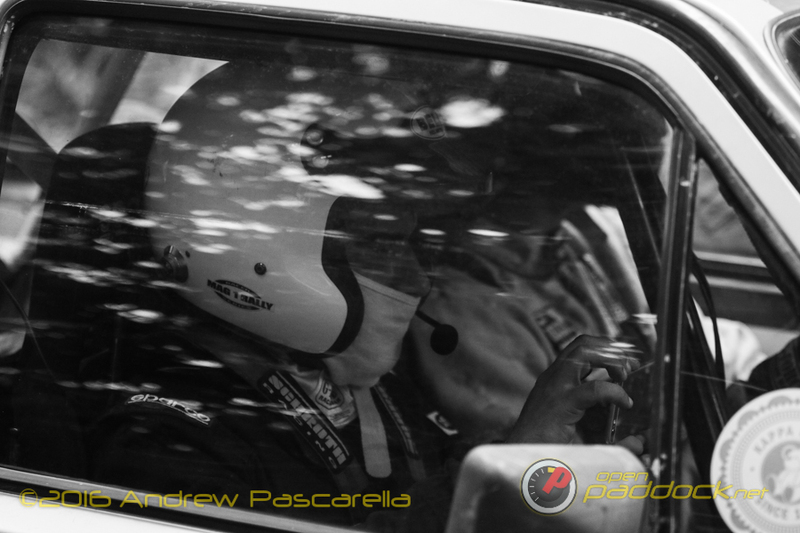 Tommy ended up winning his first ever event edging out the B-spec Fiesta of Erickson-Chang because of a time control penalty. Street Bike Tommy was in disbelief and very graciously admitted it should have been Keanna on the top step during the podium ceremony. Tommy’s only real goal was to beat Nitro Circus teammate Pastrana, which he did and couldn’t have been happier. 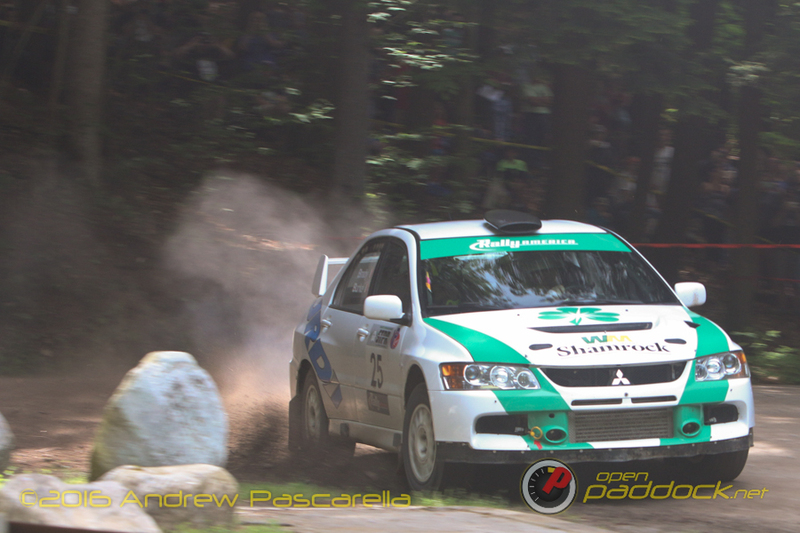 2wd and SP are going to be the classes to watch at the upcoming New England Forest Rally. In 2wd the points are completely tied with only 3 rounds left to go between Ryan Millen and Cameron Steely. In Super Production the Miller’s are in it for championship points that could up them ahead of last year’s champion Lauchlin O’Sullivan who’s been absent for a few rounds this year. And to spice up the NEFR weekend, Bucky Lasek is making his stage rally return running a Super Production Subaru with Rhianon Gelsomino calling notes. This will be Bucky’s first Rally America event on gravel (his first event was on the snow and ice at Sno*Drift). 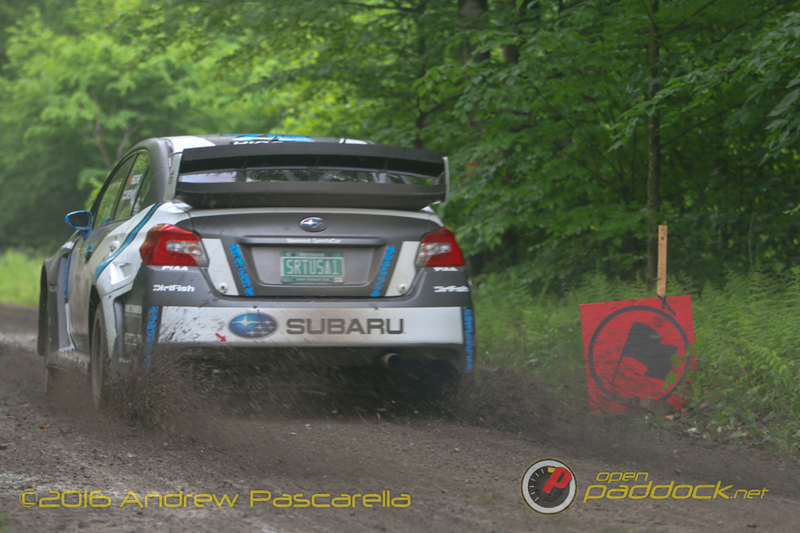 As long as teams can keep their cars together over the rough stages of Maine, it should be one heck of a battle! Loved the story and photos, THANK YOU! 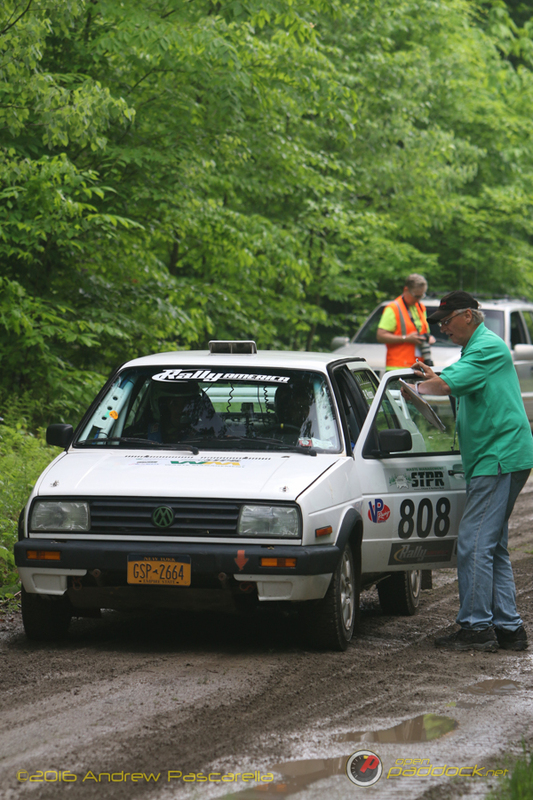 Some clarification on one point: as one of the organizers, as a 30 year Wellsboro resident, as one who knows that STPR’s permission to be in the STATE forests is dependent upon an excellent 40 year relationship with the local state representatives, thus… Since the state forest road speed is 25 mph, and we don’t set it, EVERYONE is subject to it. 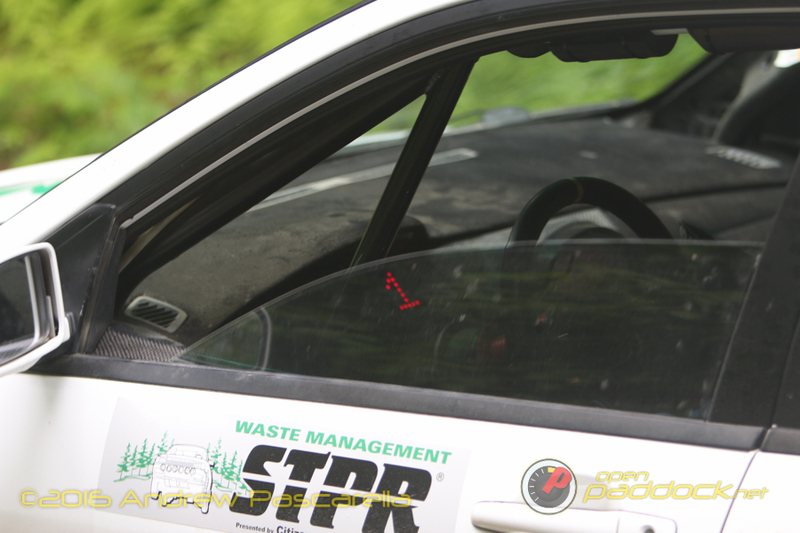 For years, I have driven ALL the STPR special stage miles and transit miles after the event, double checking that we cleaned up the forest and the spectator areas. I love rally and own a WRX wagon, I get how difficult it is to keep to that limit, but we must be good stewards of our opportunity. When talking with a DCNR crew while “sweeping the stages”, they reminded me to keep to the limit. 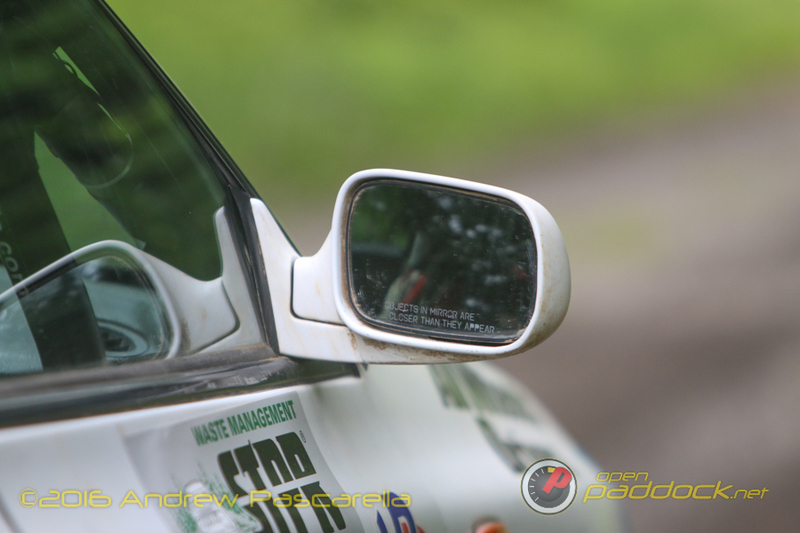 A number of the organizers have worked other national rallies and seen major abuse of the recce speed limits with open recce. 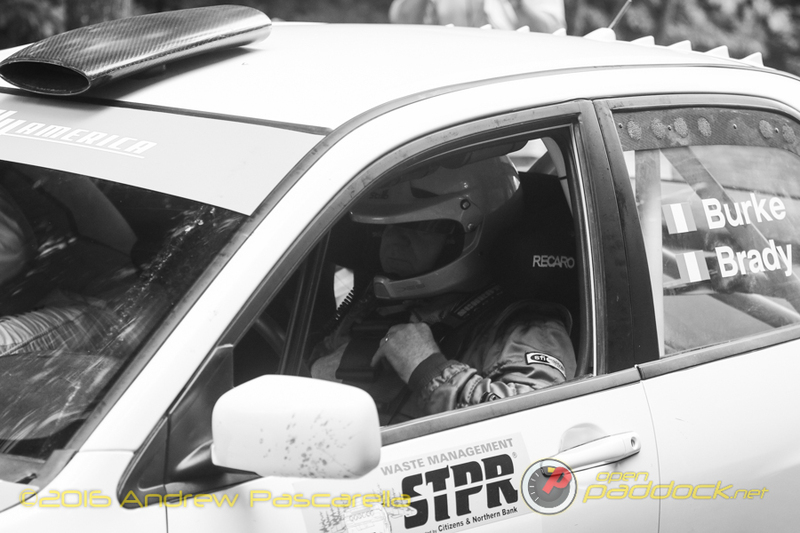 Road use permits/permission may be an easier aspect to manage in other areas, but the speeding of competitors and spectators has been a continual issue for most rallies nationwide – and on on the open roads of recce is not where it should happen. We almost lost STPR forest access after 2007 due to alcohol abuse issues, and with a governor who didn’t deem STPR to be good fit for his “ecotourism” views for Tioga county — so we knew we had to be extra careful with open recce. Thank you all for THOUGHTFULLY considering this issue.